Steps to "My Own Silk Fly Lines"
Around when classic bamboo fly rods had been used, the fly lines loaded on those rods were made of silk. 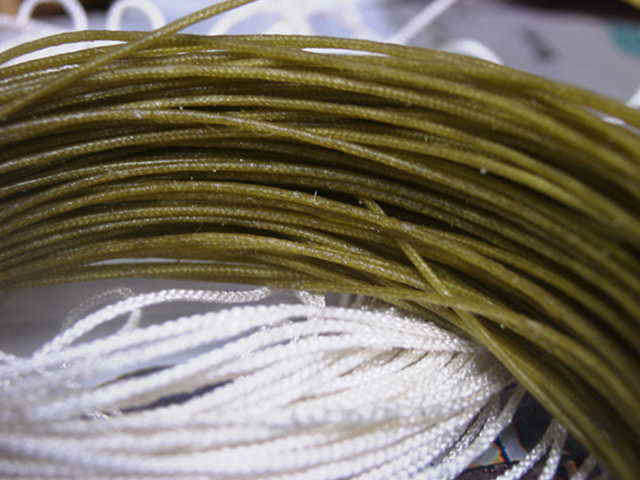 It may be true that silk fly line matches to the bamboo rods which were planed based on the classic tapers. While studying a silk fly line, there seems to a be variety of tapers, braiding patterns, coatings, and floatants, etc.. A deep and interesting world was waiting for me. 1. 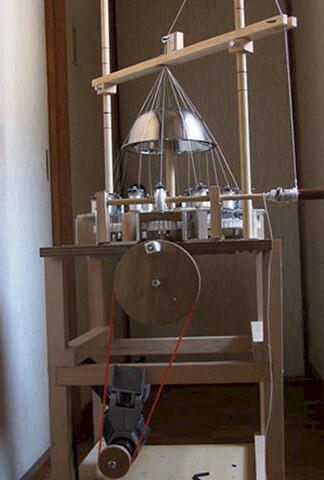 I made the first hand-driven braiding gadget anyway with an endurance of 8 months efforts. 2. Braided my first silk fly line by hand at first. 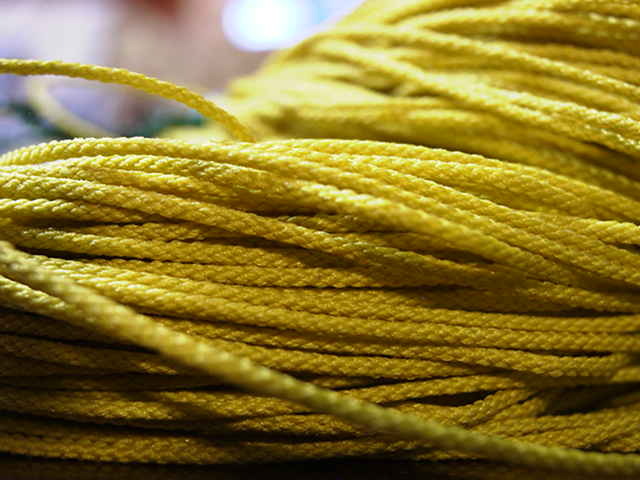 With 9 feet of straight taper at both ends of the line, 90 feet #3 silk line came out. By attaching a power drill on the machine, unexpected troubles jumped out and greeted me. While making, the part I made with less attention reinvited me to make them again. Thread bobbins jumped out of the machine while turning, sticked at some places and the machine stops, etc..
After all, I had to make such parts again and again precisely. And now, it works by electricity at any rate. Wow! the leaves of bamboo. I expected, if bamboo has so called natural color, I would like to have the color on my rods, at threads and fly lines. 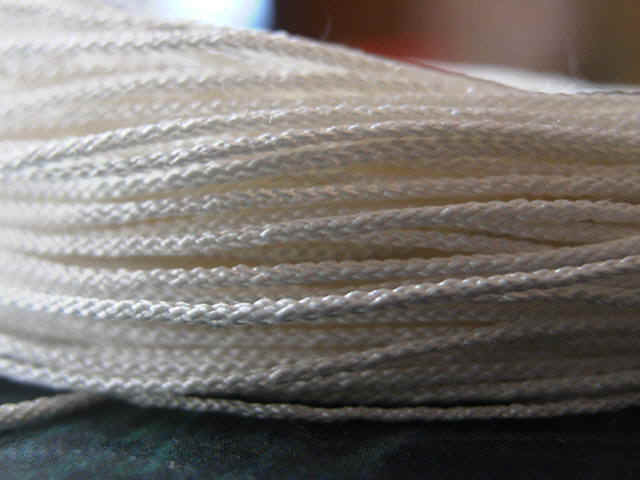 Following the instruction of Mr. Reed Curry's web page, coating of silk line is made like this. As you can see in the photo, 16 strunds line (green line) is thinner than white one, which is 8 strunds. This green line is dyed by the leaves of black bamboo which grows at the entrance of my house. 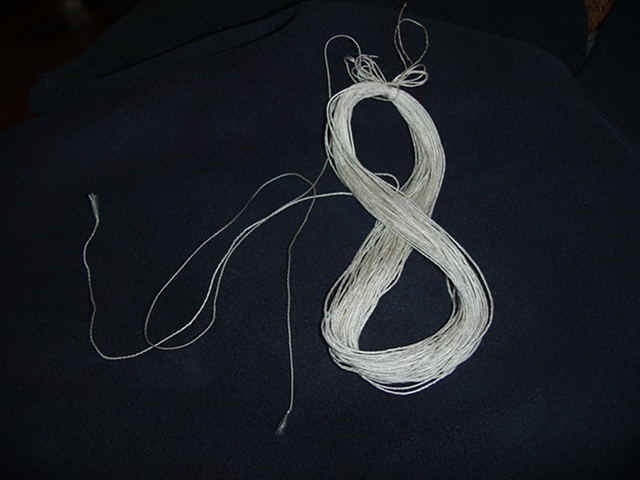 As my braiding gadget can braide both of 16 and 8 strunds of silk thread, I tried to make two type of #3 silk fly lines. 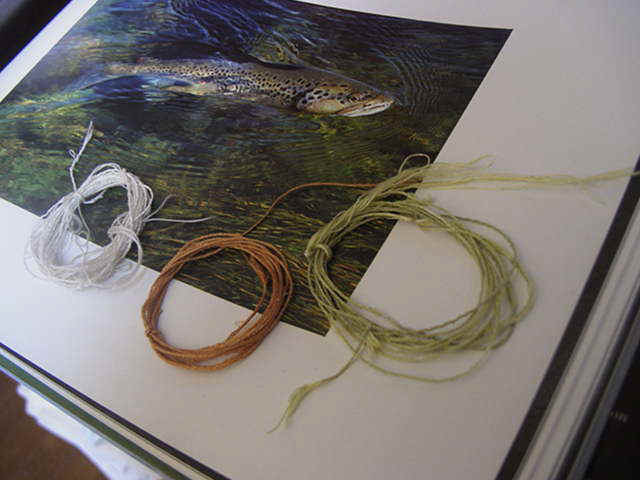 As you can know, 8 strunds braiding will use twice thicker thread than that of 16 strunds braiding for the same weight of fly line. 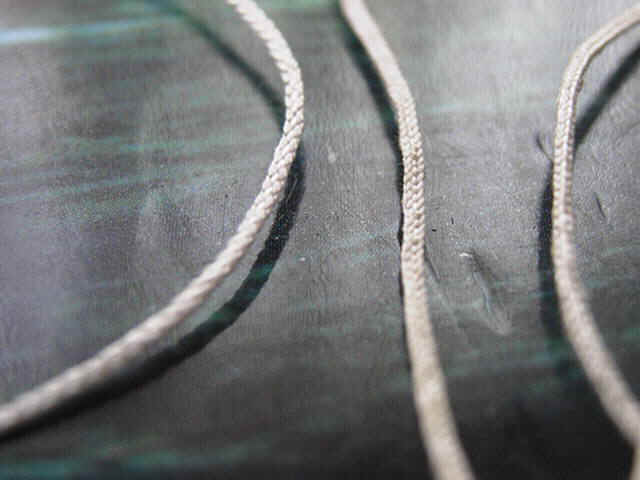 The resulted lines are using the same weight of silk threads. * surface smoothness is different. 16 strunds is twice smoother than 8. * line diameter is different. 16 strunds results in thinner diameter than 8. * tention control of 16 strunds becomes far more difficult than 8 strunds. It is extremely tough to braide up 90 feets of line successfully without accidents. 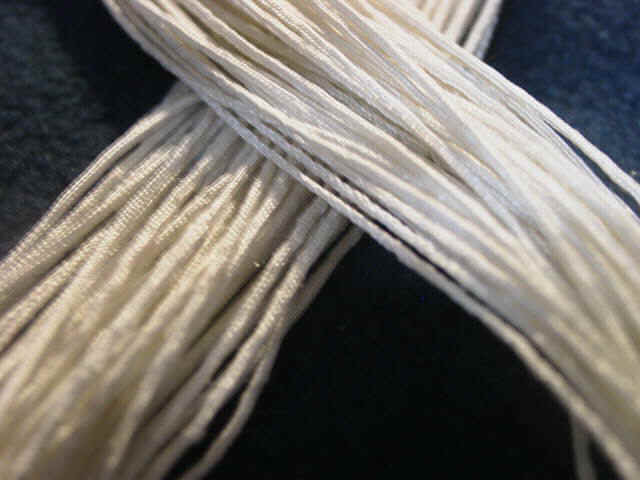 Next to do is to make a matching bamboo rods this silk line.